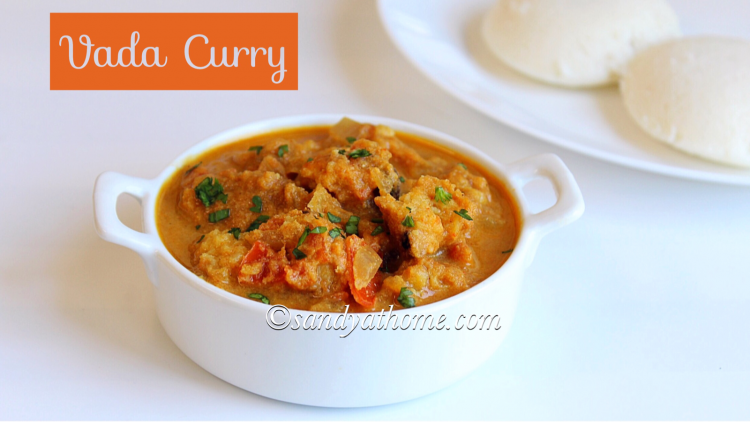 Vada curry is a delicious south Indian thick gravy made with leftover masala vada. 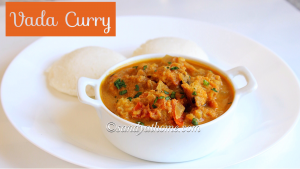 Vada curry is a very flavorful and aromatic coconut based curry usually served along with idli and dosa for breakfast. 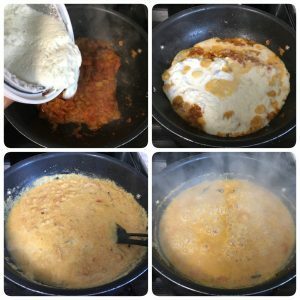 Earlier in restaurants vada curry used to be prepared with leftover vada but as years passed it became one of the main side dish for breakfast since the taste was relished by huge crowd and now people make masala vada freshly to prepare this curry. 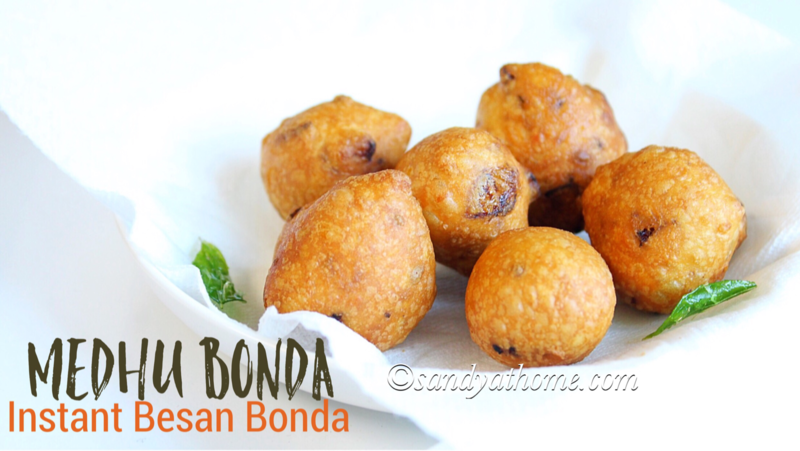 I am one among the crowd even now whenever I make masala vada make sure to soak extra channa dal to get extra batter that I can use to make this delish vada curry. 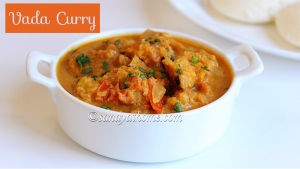 The recipe might look too very long but as I always say delicious dishes deserve multiple steps of preparation that does not mean it involves extra work or task the method is super simple and is very similar to kurma recipe so this recipe does not demand any unusual ingredients that needs to be brought from the store. 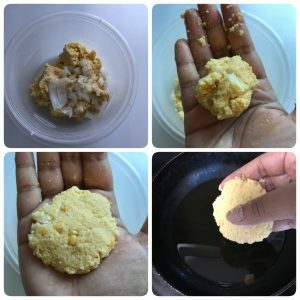 For the below recipe I used chopped onion for making vada which can be avoided if you don’t like it. So lets get to the making! 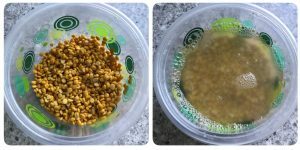 Wash and soak channa dal in water for 3 hours. After 3 hours drain water from channa dal. In a blender add channa dal, green chilli, saunf, cumin seeds, ginger and garlic. Grind it coarse without adding any water. Transfer it to a bowl. Now to the ground vada mixture add chopped onion, curry leaves, salt and rice flour. Mix well. Heat oil in a pan. Now take small portion of the mixture, make it into round shape, then flatten it pressing it slightly with palm. Now drop it preheated oil one by one and fry in medium flame to get even browning and cooked inside. When done transfer it to a plate with paper towel. Make the vada into small chunks and keep it aside. Chop onions, tomato and green chili. In a blender add grated coconut, green chilli, cumin seeds and fennel seeds.Grind it into a fine paste adding little water. Now in a pan add whole spices when aromatic add chopped onions and. Saute well. 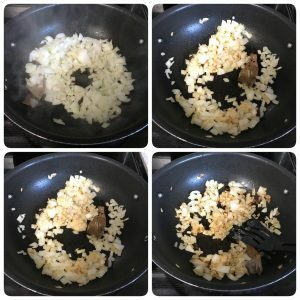 When onions look sauteed add ginger garlic paste. Saute well until the raw smell of ginger garlic paste goes. Now add chopped tomatoes, salt, turmeric powder, red chilli powder, garam masala powder and salt. Mix well and cook till tomatoes get mushy. Now add the ground coconut paste and give it a good stir. When it starts to boil add required amount of water to get vada curry consistency. Mix well and allow the mixture to boil well. Now add the vada pieces and mix everything well and allow the mixture to boil well for a minute. When the vada looks soaked and the gravy looks thick put off the flame and garnish it with cilantro and serve it hot with idli/dosa! Now to the ground vada mixture add chopped onion, curry leaves, salt and rice flour. Mix well. Heat oil in a pan. Now take small portion of the mixture, make it into round shape, then flatten it pressing it slightly with palm. Now drop it preheated oil one by one. Fry the vada in medium flame to get even browning and cooked inside. 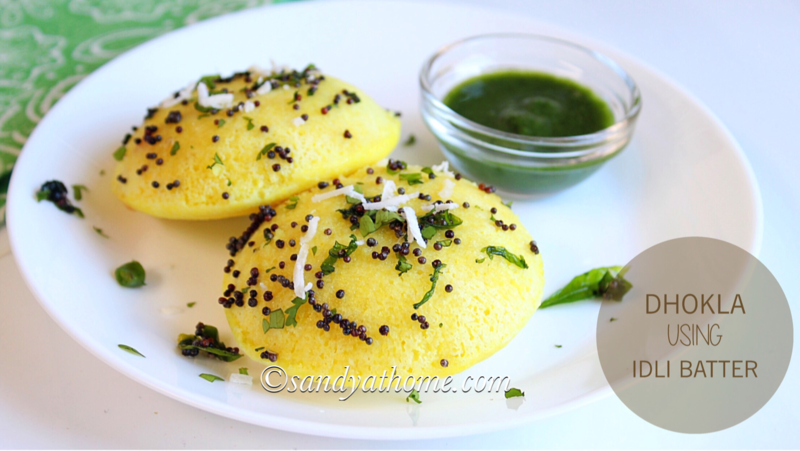 When done transfer it to a plate with paper towel.Make the vada into small chunks and keep it aside. Chop onions and tomato. In a blender add grated coconut, green chilli, cumin seeds and fennel seeds.Grind it into a fine paste adding little water. Now in a pan add whole spices when aromatic add chopped onions and. Saute well. When onions look sauteed add ginger garlic paste. Saute well until the raw smell of ginger garlic paste goes. Now add chopped tomatoes, salt, turmeric powder, red chilli powder, garam masala powder and salt. 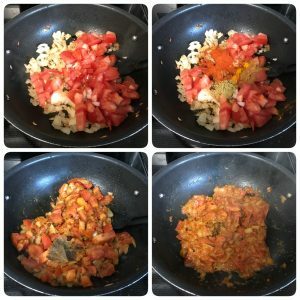 Mix well and cook till tomatoes get mushy. 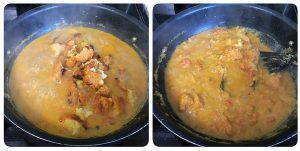 Now add the vada pieces and mix everything well and allow the mixture to boil well for a minute. When the vada looks soaked and the gravy looks thick put off the flame and garnish it with cilantro and serve it hot with idli, dosa or set dosa!